The Keson RRT12 measuring wheel is ideal for road construction, asphalt and paving contractors, irrigation, telecommunications, surveying or any other long distance measuring needs. 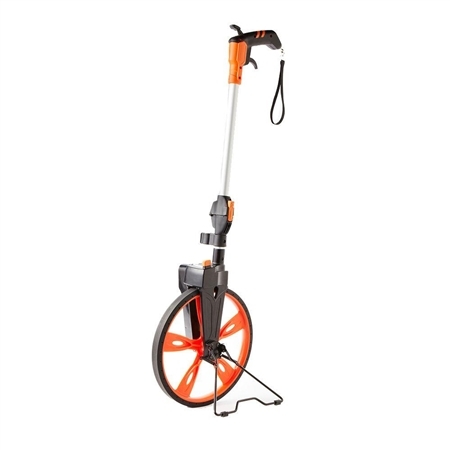 The wheel features brake and set on the handle for ease of use. The counter is located over the wheel shaft allowing for better wheel balance. The 5 digit counter is designed with a gear and shaft transmission for high measurement accuracy. The wheel folds down to 1/2 its size, locking the handle in place for storage and portability.